Your expectations for your significant other could be the problem, and if so, you can release your expectations and begin having a less stressful relationship and life starting today. In three simple steps, this mini-book will teach you how expectations kill relationships and what you can do to change the direction of your love life. Dr. A'ndrea J. Wilson will guide you step-by-step through the process of letting go and transforming the way you think and respond to your mate. An expert in the Marriage and Family field, Dr. Wilson shares with you wisdom that she has learned both personally and professionally that could help you become a better partner and individual. What word(s) would you use to describe your own behavior in relationships? Kind? Selfless? Gentle? Supportive? Careful? Or is it more like harsh? Selfish? Abusive? Negative? Careless? Can you honestly say that you treat your partner well? Do you really believe your partner would say that they are treated with care by you? Behaving in a loving and caring manner in a relationship is most times not a natural act. Due to personal character flaws, negative experiences, stress, generational cycles, displaced anger, frustration, and other internal and external influences, we often treat the ones we love poorly, causing tension, dissatisfaction, and discord between us and our partners. 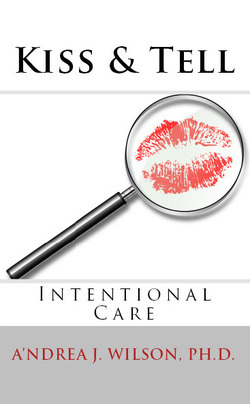 In this mini-book, Dr. A'ndrea J. Wilson will guide you step-by-step through the process of recognizing careless thoughts and behaviors within yourself, and taking the initial steps towards being more careful and loving in your romantic relationships. A relationship and personal development educator and an expert in the Marriage and Family field, Dr. Wilson shares with you wisdom that she has gained that could help you build a better relationship with both your significant other and yourself.